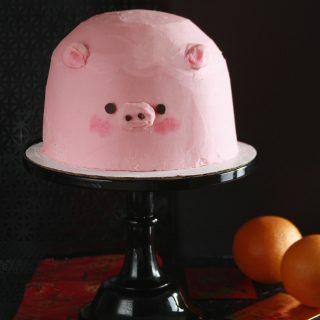 You saw these at bakeries or old school delicatessens. Places where the owners leaned over the counter to shake your parent’s hand and pinch your cheek. Desserts in these places were always larger than at those fussy, stuffy restaurants. 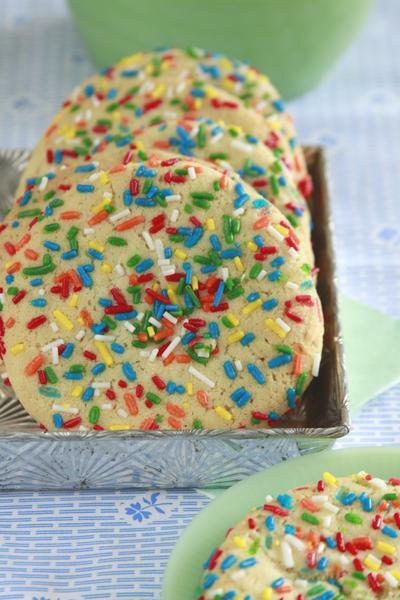 These cookies were large and their size wasn’t just for dramatic effect. The large size was needed, because you always finished all of it, even at your child stature. 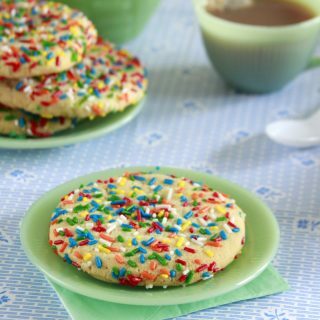 In fact, the oil is what gives these Jumbo Sprinkle Cookies moisture and texture. Chilling the dough prevents it from spreading, and this process produces that much desired chewy cookie center. 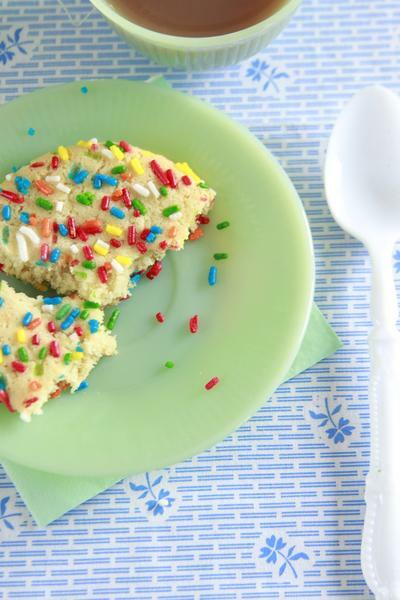 Jimmie sprinkles are the optimal sprinkle to use. 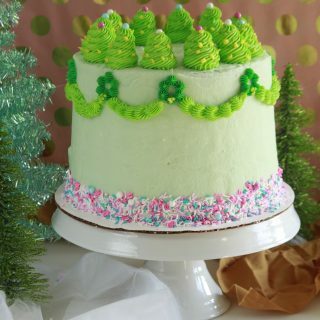 They bake up soft, melding, not interfering, with the cookies texture—all while still providing a bright, happy jolt of color to the exterior. 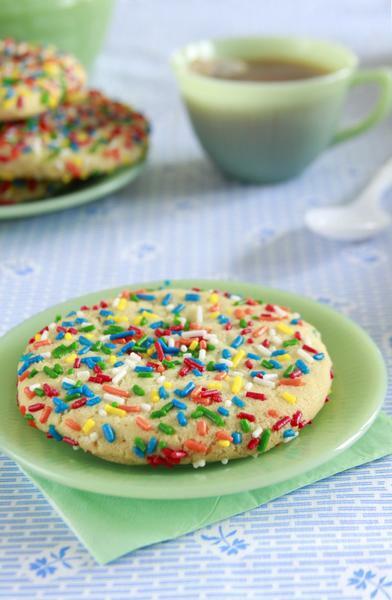 These Jumbo Sprinkle Cookies are the correct dosage of childhood! 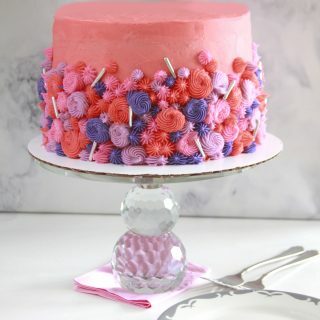 In a large bowl whisk flour, cornstarch, baking soda, and salt, set aside. Cream butter and sugar until just combined, add oil, and beat until smooth about 2 minutes, scraping bowl frequently. Beat in eggs and vanilla. Scrape bowl and paddle. With mixer on low, gradually add dry ingredients. Dough will be sticky. Put dough onto plastic wrap, shaping flat, and then covering in plastic wrap, refrigerating for 1 hour. 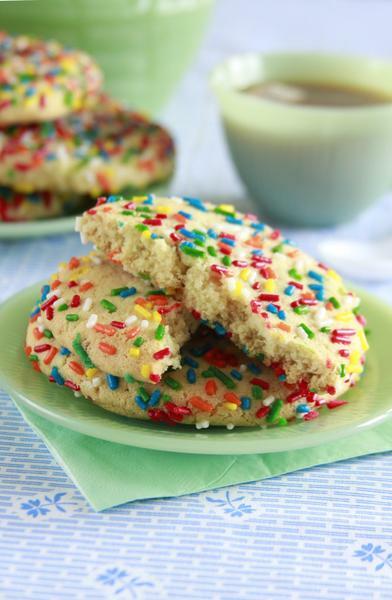 Use a ¼ cup measure, greased with baking spray, to portion out cookie dough. 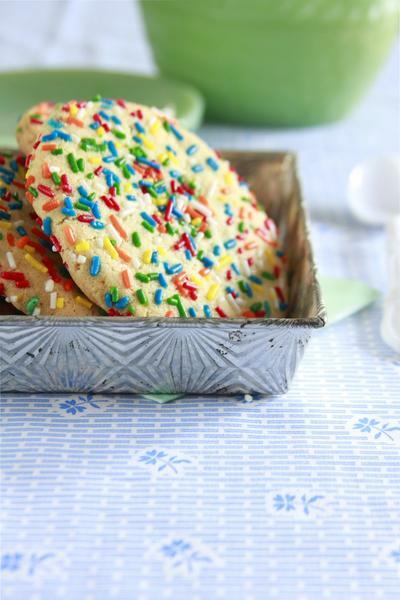 Flatten portions into hockey puck shape, coating completely with rainbow sprinkles. Refrigerate for 15 minutes. At this point you can freeze the cookies on a baking sheet, transfer to a plastic bag and keep frozen for up to 2 months. 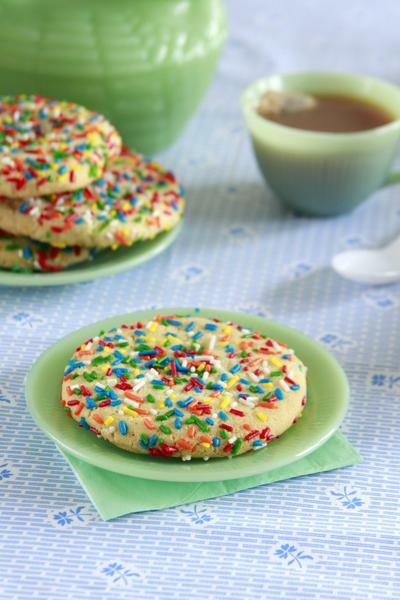 Place cookies 2 inches apart on a parchment lined baking sheet. Bake cookies 12 to 16 minutes, rotating halfway. 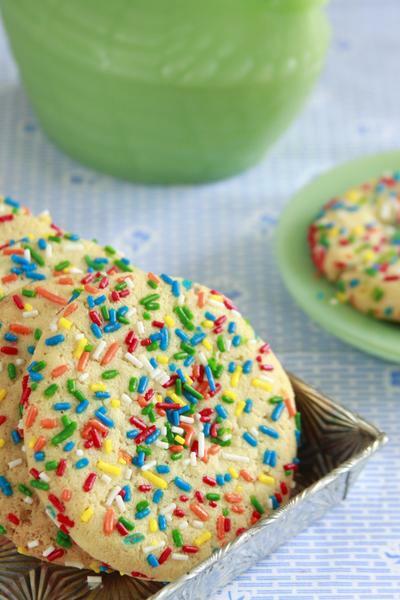 Adjust the baking time for a minutes more if baking cookies directly from the freezer. Cookies will be lightly golden on the edges.